Tonight’s quads drew six players who were all closely rated. 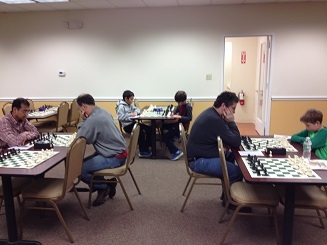 CCFC regular Ramesh Abhiraman was off to a good start with 2/2, but lost in the final round to Bryan Weisz. Bryan tied for first place with Brent McCreesh who also won his last round game. Both finished with 2.5/3.